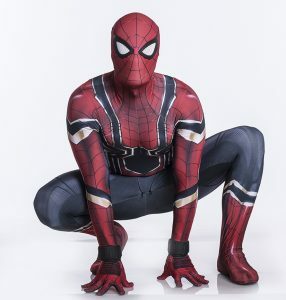 Our spidey senses are telling us that if you’re looking to throw your own high quality inexpensive Spiderman party that people will remember, then you have come to the right place. A Living Fairytale offers this hit character for your kids parties and special events. 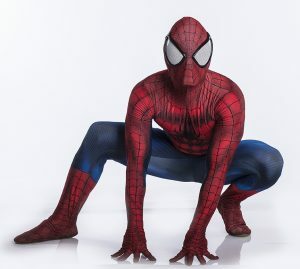 Our Spider characters are full of energy, just as you would expect from a superhero. Watch as our talented entertainers captivates your entire party of kids with their flashy superhero moves, and see them get all the kids involved in the fun with their super hero training! This is one party you and your children will never forget. A Living Fairytale only brings the most talented and fun loving entertainers to your party, and the incredible Spider Hero is one of the best! 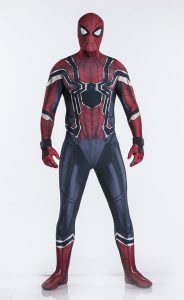 If your child is a fan of this web slinging superhero, they will never forget the amazing party Spiderman will give them!